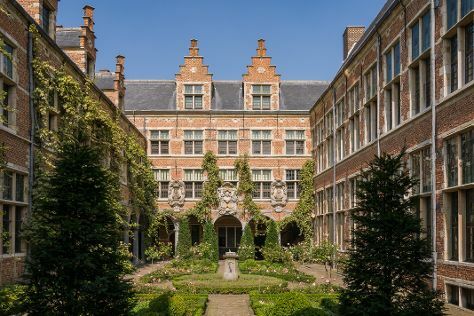 Kick off your visit on the 17th (Wed): examine the collection at Royal Museums of Fine Arts of Belgium, enjoy breathtaking views from Belfry and Cloth Hall (Belfort en Lakenhalle), take an in-depth tour of Museum Plantin-Moretus, take a stroll through Meir, then get to know the fascinating history of Cogels Osylei, and finally ponder the world of politics at Justice Palace (Palais de Justice). To see other places to visit, reviews, ratings, and more tourist information, read Brussels trip builder site . Seattle, USA to Brussels is an approximately 14.5-hour flight. You can also do a combination of flight and train; or do a combination of flight and shuttle. The time zone difference when traveling from Seattle to Brussels is 9 hours. Expect little chillier weather when traveling from Seattle in October: highs in Brussels hover around 57°F, while lows dip to 46°F. On the 18th (Thu), you'll have the morning to explore before heading off to Bruges. On the 18th (Thu), see the interesting displays at Holy Savior Cathedral (Sint-Salvatorskathedraal), take in the history at Flanders Battlefield Tours, take an in-depth tour of Memorial Museum Passchendaele 1917, then sample the tasty concoctions at Bourgogne des Flandres Brewery, then stop by The Old Chocolate House, and finally steep yourself in history at Beguinage (Begijnhof). To find reviews, where to stay, photos, and tourist information, read our Bruges trip planner. Getting from Brussels to Bruges by car takes about 1.5 hours. Other options: take a train. In October, daytime highs in Bruges are 60°F, while nighttime lows are 48°F. Wrap up your sightseeing by early afternoon on the 19th (Fri) to allow enough time to drive to Reims. Start off your visit on the 19th (Fri): take in the spiritual surroundings of Chapelle Foujita, then get engrossed in the history at Caverne du Dragon, and then contemplate in the serene atmosphere at Abbaye de Vauclair. To see photos, ratings, other places to visit, and more tourist information, read our Reims online trip itinerary planner . You can drive from Bruges to Reims in 3 hours. Other options are to take a bus; or take a train. In October in Reims, expect temperatures between 63°F during the day and 46°F at night. Finish your sightseeing early on the 20th (Sat) so you can take a train to Paris. 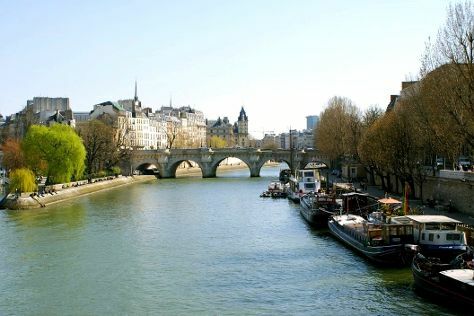 Start off your visit on the 20th (Sat): steep yourself in history at Left Bank (Rive Gauche). Here are some ideas for day two: explore the galleries of Chateau de Fontainebleau, step off the mainland to explore Ile Saint-Louis, then step off the mainland to explore Île de la Cité, then wander the streets of Saint Germain des Pres Quarter, and finally wander the streets of Latin Quarter. To see photos, ratings, maps, and more tourist information, read our Paris visit planner. You can take a train from Reims to Paris in an hour. Alternatively, you can drive; or take a bus. In October, daily temperatures in Paris can reach 62°F, while at night they dip to 48°F. On the 23rd (Tue), you'll travel back home.